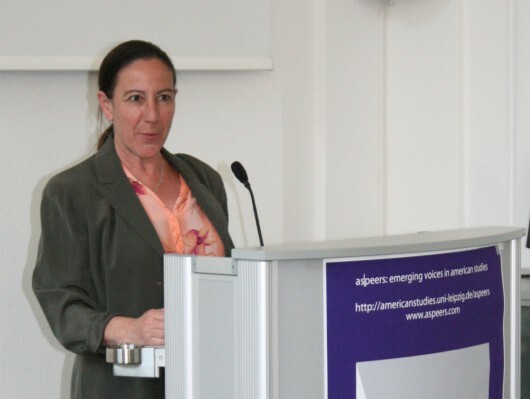 Today, American Studies Leipzig launched aspeers:emerging voices in american studies, the first—and currently only—graduate journal in American Studies. Opening the release ceremony, institute director Prof. Anne Koenen expressed her pride in the project and thanked the editing students for the outstanding job they did, as well as course instructor Sebastian Herrmann for the effort he put into the project. As part of the ceremony, the student editors received their copy of the journal, as well as a certificate for the skills they had learned and applied during the editing process. For more information on aspeers, please visit the journal's webpage at www.aspeers.com or see the University's press release on the event.